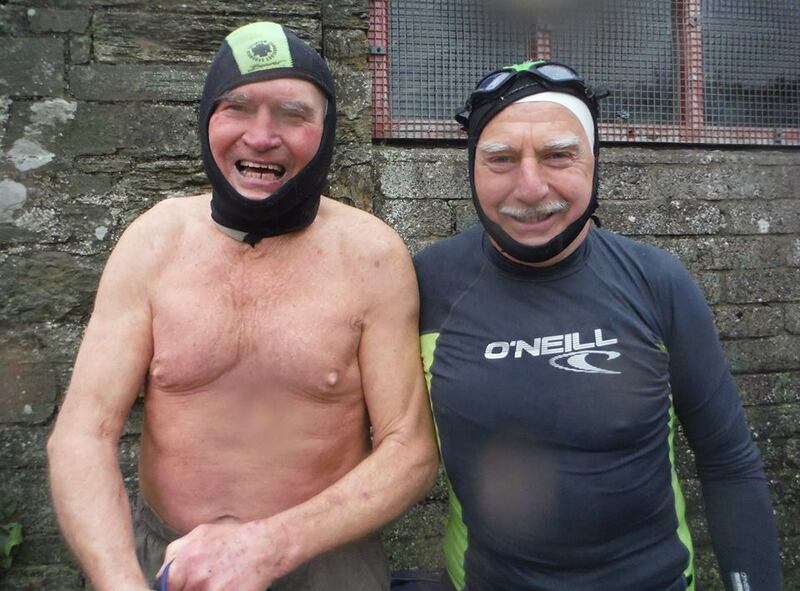 Tom Bermingham and Pat Higgins have been swimming daily in Myrtleville for many years – rain, hail or shine (mostly rain and hail!). Many of you will know them and have enjoyed Tom’s encouragement that the sea is “like a bath” (even in February!). As efforts to get planning permission for a changing shelter have been dragged out, Tom and Pat have made a huge effort into installing a bench and awning to offer protection for swimmers changing. To mark this, we’re going to have an unveiling on Sunday morning next at 10am. 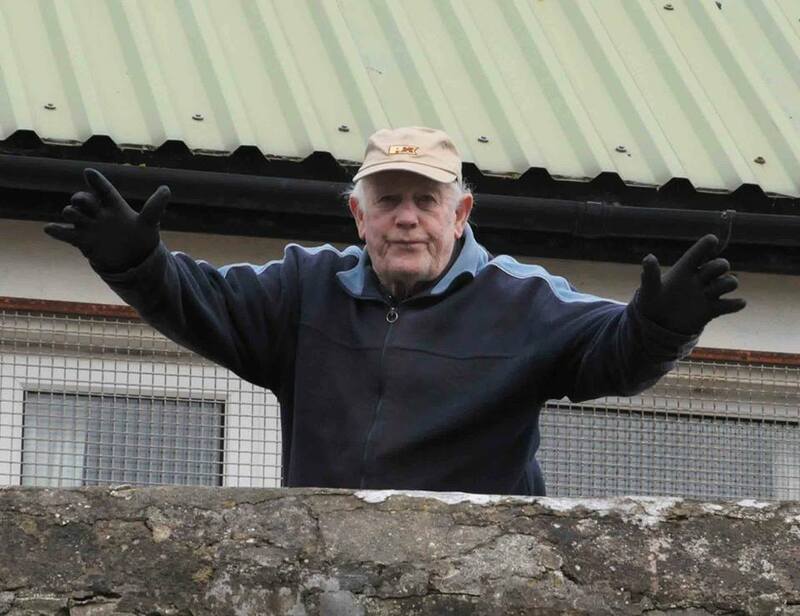 Local resident and longest serving Myrtleville swimmer, Jimmy Long, will be there for the launch and it’s important that as many of us as possible attend. Whether you have time to swim or not, come down on Sunday at 10am and mark the event. We will all be very glad of the shelter in the months ahead. Jimmy Long in 2014 – bestowing his blessing for another year on the beach! Tom and Pat – in the sea every day and it’s always warm (they say)!